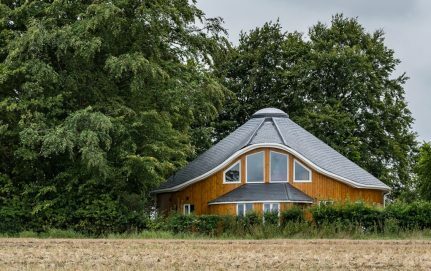 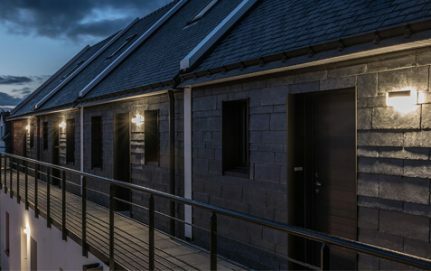 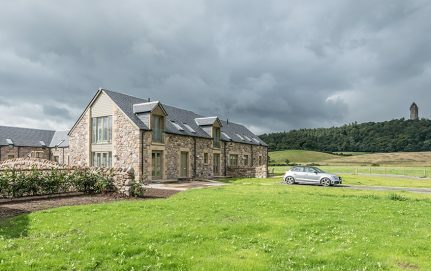 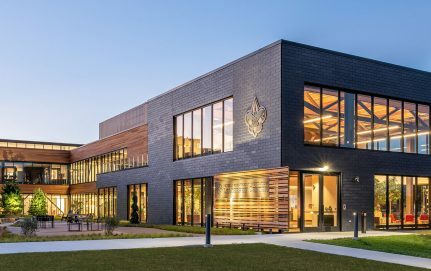 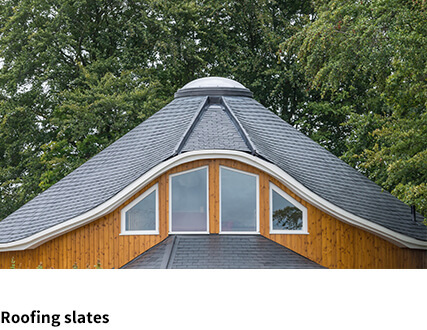 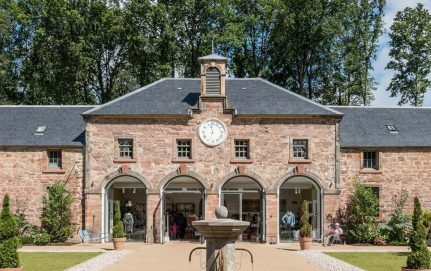 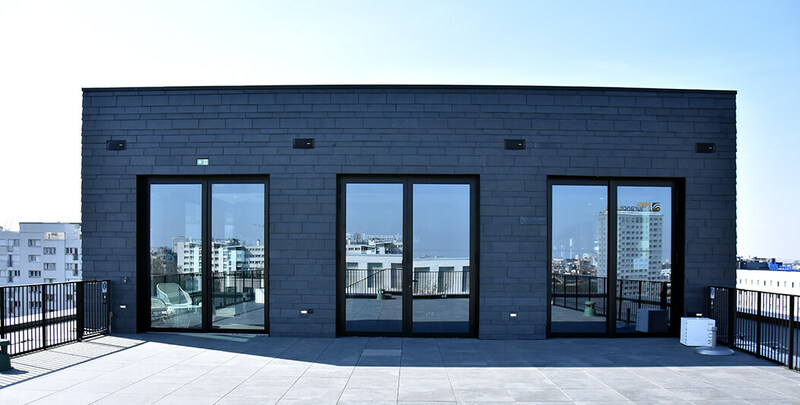 The Binet building is an innovative, creative and modern building designed with natural slate. 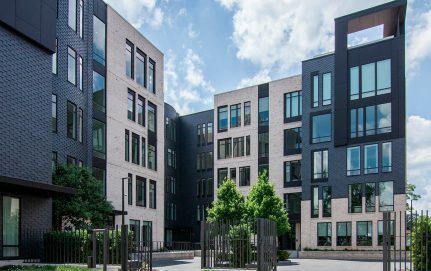 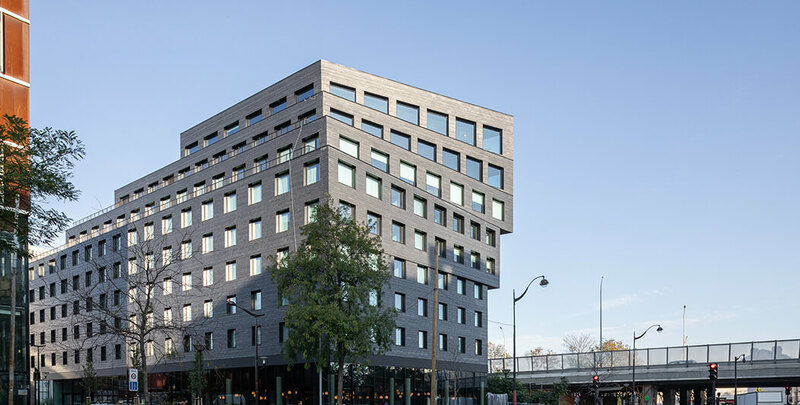 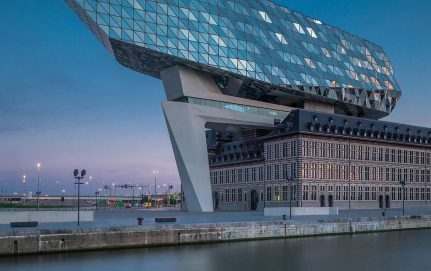 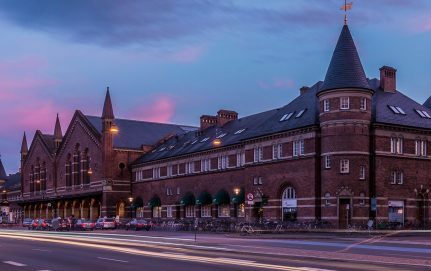 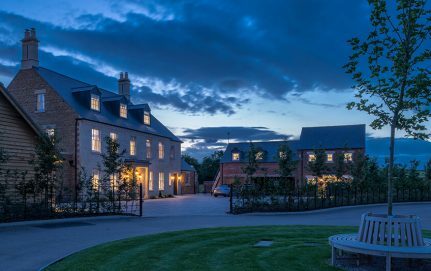 A 4-star hotel, a restaurant, several meeting rooms, a headquarters and a rooftop bar are all located within this impressive building covered in natural slate using CUPACLAD® 101 RANDOM. 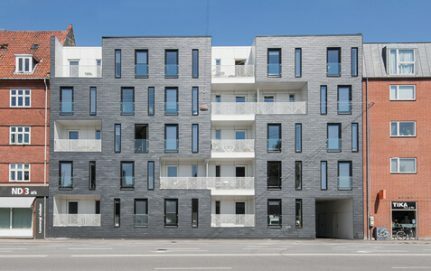 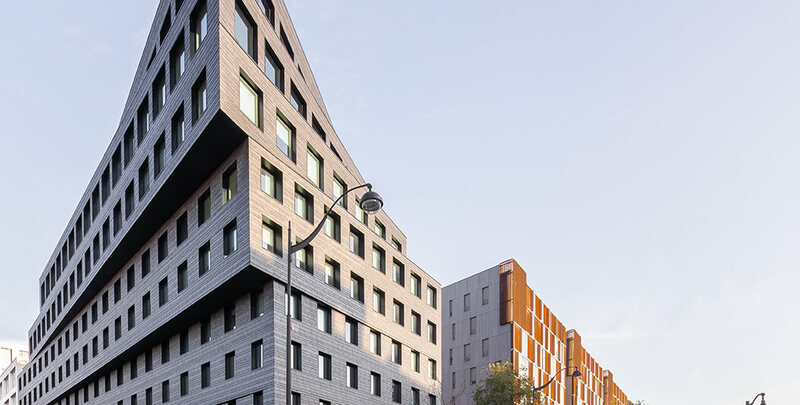 This building is part of an urban renewal project, initiated by Paris City Council in 2011 to reinvent the Binet quarter and open it to the French capital. 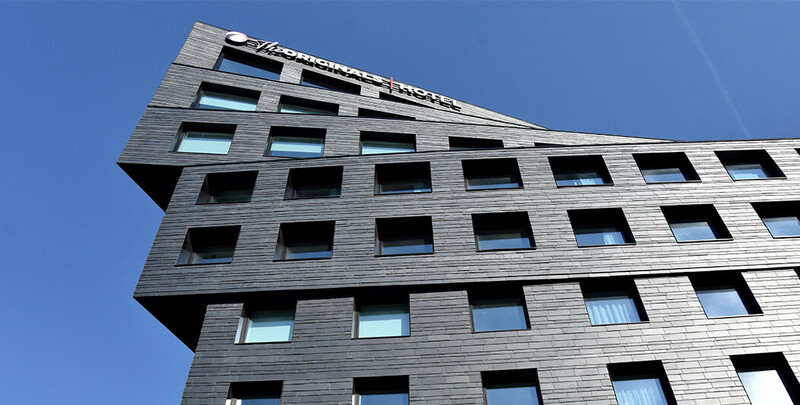 The innovative natural slate design looks like a black arrow pointing to the sky of Paris. 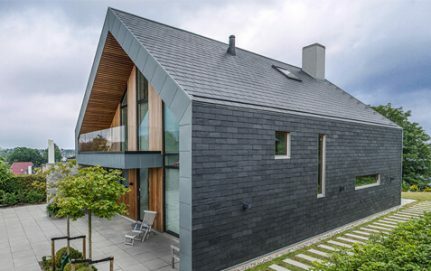 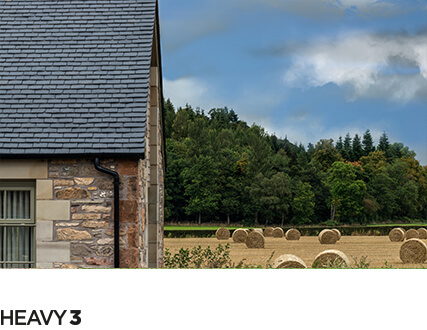 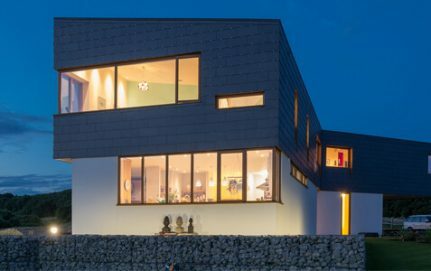 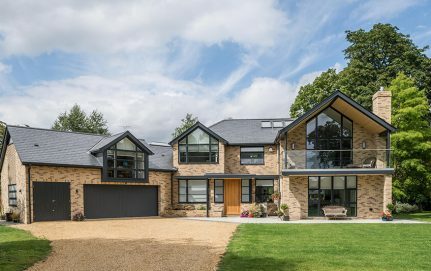 The slate cladding offers a sleek and stylish appearance. 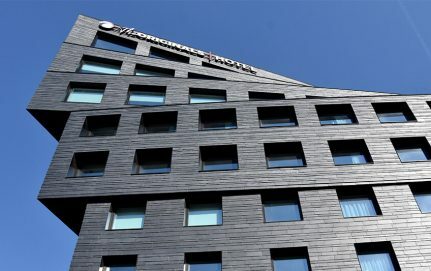 The cladding of the building is formed by more than 30.000 natural slates which have been carefully selected to ensure the best quality. 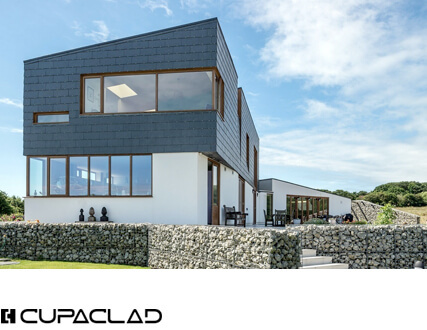 The design which uses CUPACLAD® 101 RANDOM offers a dynamic look thanks to the combination of different slate formats (50×25, 50×20 and 50×15). 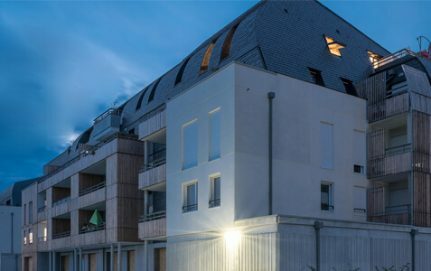 This first slate-clad building in Paris highlights the futureproof of natural slate in contemporary architecture. 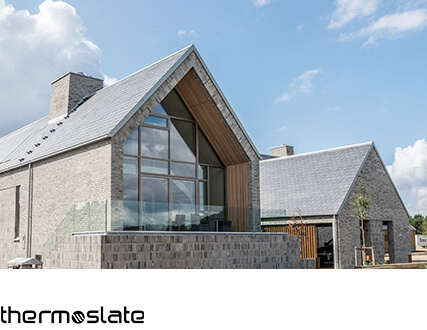 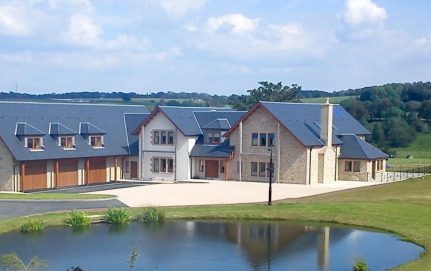 Slate provides countless technical and natural properties and has inimitable textures and colours.